WELCOME AND THANKS FOR BEING INTERESTED IN VOLUNTEERING! Yes - we need volunteers! Why? Because you guys are always the heart, soul and energy of any event. Consistently in our feedback we receive plaudits mostly on how helpful, friendly and encouraging our volunteers are and how much they form the core of our runner's overall positive experience. So we need you for the runners' sake! Also, a running event is such a logistical behemoth that it simply doesn't happen without the time and effort of our volunteer crew. So thanks in advance! In general you need to be able to get around the course (i.e. have transport and license or have a licensed driver with you, although there are some roles that are just at the HQ where transport is not necessary i.e. medal handout). If you are under 16, you may require adult supervision. We encourage clubs and groups looking to work together in one zone to contact us. We prefer a minimum commitment of around 3 hours. You can see where most of the on course (marshal and aid station) positions are located by looking at the course map HERE. 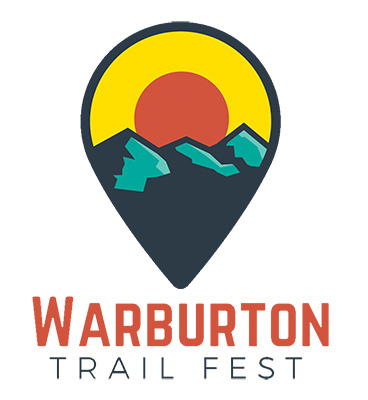 FREE entry to any Tour de Trails-owned running event (Surf Coast Trail Marathon, Afterglow Night Run, Warburton Trail Fest, Goldrush Trail Run), and if over a lunch period, a packed lunch. And yes that means if you want to volunteer on the Saturday, you can run on the Sunday, or vice versa! SO HOW DO I VOLUNTEER? Simply click on the button above and you will see a scroll-down set of roles still available. Look through, and select the slot/s you want to volunteer for, adding in your contact details. Some roles may not be available if they have already been confirmed by other volunteers. REMEMBER you can volunteer for numerous positions - just make sure the times don't clash and you have enough time to get from one position to another. PLEASE NOTE - if you are interested in any SWEEP positions, you need to contact us first! Just to check your experience :). We prefer those who have regularly run the distances and have some kind of first aid if at all possible. Organisers will be alerted to your volunteer registration. We will then be in contact closer to event weekend to confirm that you are coming and with more information. PLEASE if you need to change / pull out from your volunteer slot, remember to log back on to the iVolunteer page and notify your withdrawal. In general we have a volunteer briefing on the day of the event a few hours prior to the RACE start time. We will notify you all in the lead up to event weekend.